HORSE of Connecticut in Washington will hold a special spring horse parade April 13 from 1 to 3 p.m. The parade at the 43 Wilbur Road farm is an opportunity for individuals interested in adopting, leasing, sponsoring or volunteering, to meet the organization’s horses aged 6 to 29. HORSE of Connecticut in Washington will hold a special spring horse parade April 13 from 1 to 3 p.m. for individuals interested in adopting, leasing, sponsoring or volunteering, to meet the organization’s horses aged 6 to 29. Horses range from mini to draft, with many available for the advanced-beginner to experienced rider. The organization’s leasing program is for people 18 and older who ride regularly and want to find out what is involved in caring for a horse, while adoption is for the experienced horse owner looking for a lifetime companion. Sponsoring is an introductory option for those that would simply like to groom and hand walk a horse. Featured horse will include Legend, Abracadabra and Star. Legend, 16, who is a 16’1 hand, Appendix gelding that rides English for an experienced rider. He loves to go for strolls and get lots of attention. Legend will be shown under saddle and is available for sponsor and lease. Abracadabra, 21, is a 14’2 hand Quarter Horse mare that rides English and Western. Excellent on the trails, she leads, follows and is traffic safe. 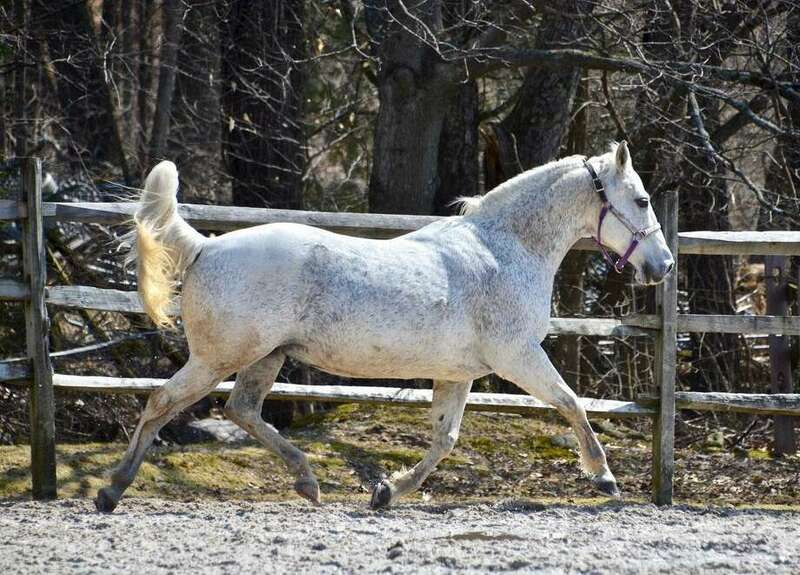 Suitable for an intermediate rider, she is available for adoption, lease or sponsor. Star, 14, is a 13’3 hand registered Morgan/Arab cross gelding that rides English or Western nd loves to ride for miles on the trails. He is easy to load, happy to lead or follow and loves water. Star is available for lease, sponsor or adoption, and requires an intermediate rider under 150 pounds. In addition to the horses, volunteers will visit with guests at the 43Wilbur Road farm.